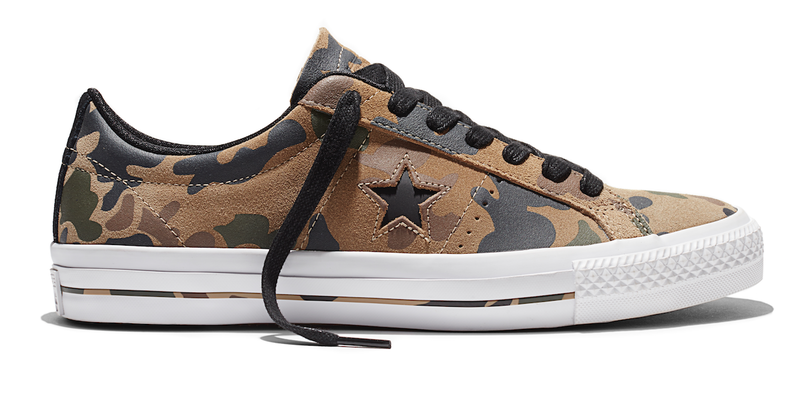 A must have essential from Converse this Spring is the Converse Cons One Star Pro for the active guy that’s out with his crew, skating the streets all day and night. Originating in 1974, the Converse Cons One Star Pro was reintroduced in Fall 2015 as an essential skate sneaker and features updated technology for heightened comfort and purpose. A Lunarlonsockliner, Constraction rubber and a gusseted tongue make fit and function for skateboarding and daily wear a priority, while the simple, yet iconic star logo stays true to the classic design. The One Star Pro footwear collection Spring 2016 introduces many new colorways of this classic silhouette.